ROUTE: Hotel Cailipolis Av Sofia, Passeig de la Ribera (promanade), Church La Fragata, back round to Passeig de la Ribera, Bassa Rodona, Plaça del Pou Vedre, Espalter, Sant Francesc and Cap de la Vila square. Often over 40 floats filled with beautiful people, young and old, of every persuasion, scantily dressed in colourful, wild and fun costumes. 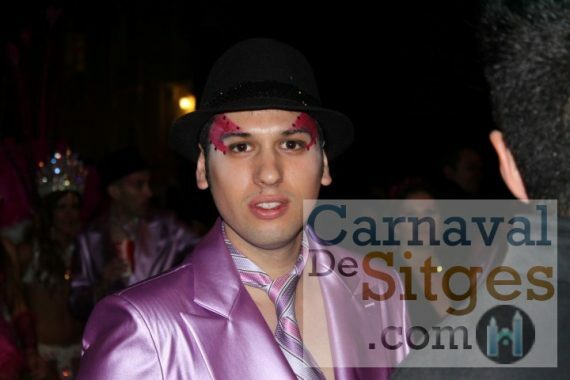 Parading around the streets of Sitges. 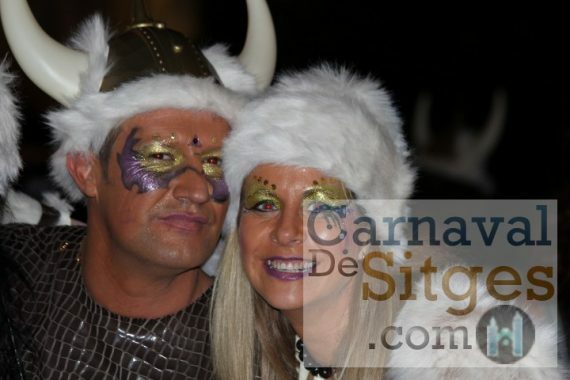 Most Sitgeans and visitors dress up in crazy and fun costumes to dance and party through the night. 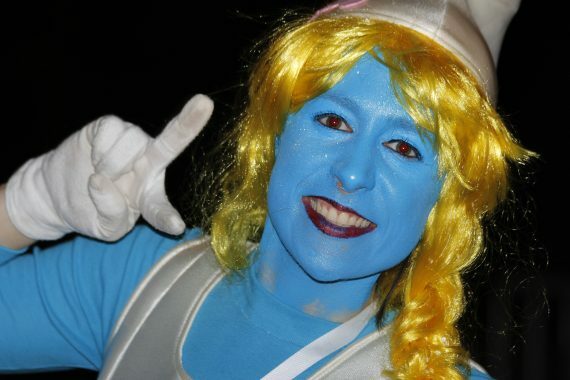 Though rumbustious, the atmosphere is amazing with many people in fancy dress. Allowing the police to concentrate on marshalling the parade, which is behind a safety fence. Beauties male, female, young and old wear inventive, colourful and sometime skimpy outfits. Whilst the drumming bands keep the crowd and dancers active well into the morning. 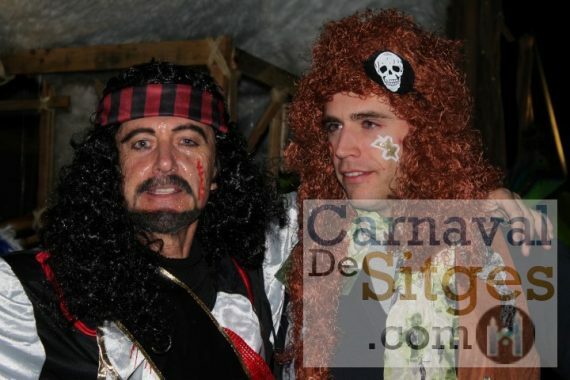 The carnival is governed by ‘el Rei dels Poca-soltes’ (King of the foolish! 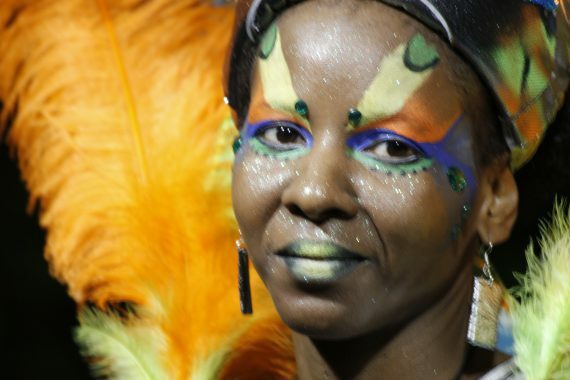 ), accompanied by the Queen of Carnival, to spread an atmosphere of revelry and debauchery in dozens of social events and cultural events around town. 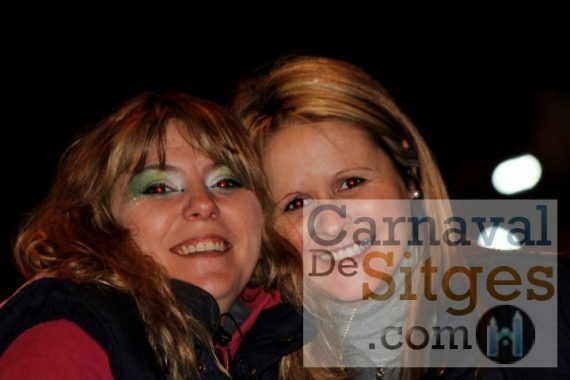 Events in El Retiro, the Prado or the Association of folk dances. Her Majesty, the Carnival Queen and entourage visit schools and institutions in the town (also Saturday afternoon). 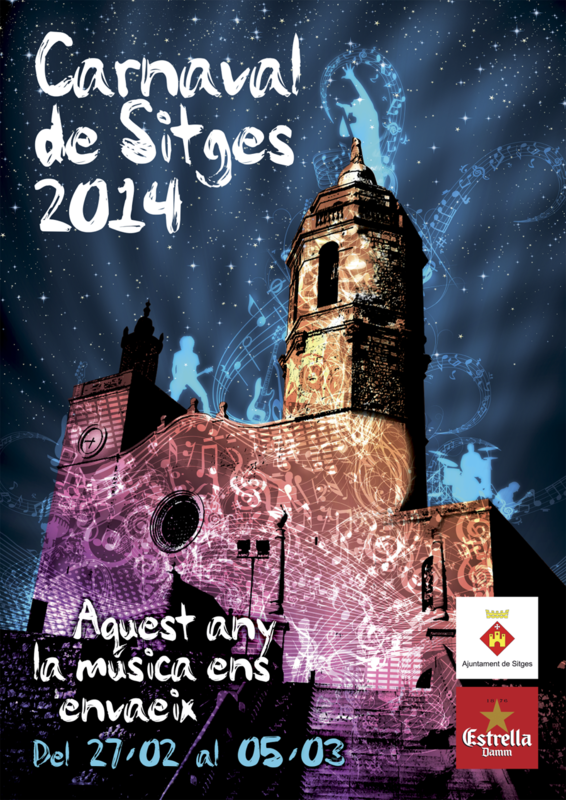 Street music and children’s activities in Sitges town. 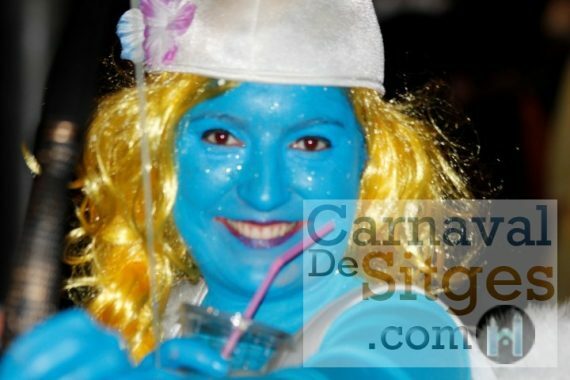 Sunday night is an important highlight during the Sitges Carnival, a parade of 50 plus floats and often over 3,500 costumed participants, held on the Rua de la Disbauxa (Road of debauchery!) 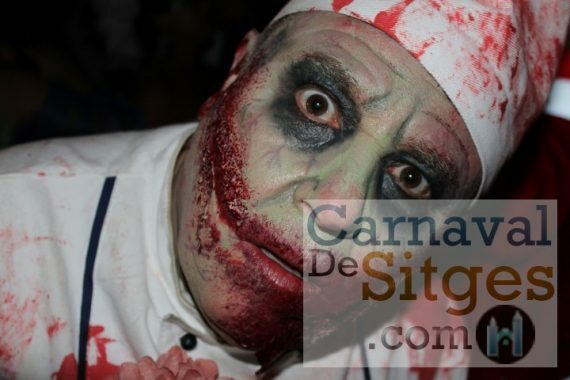 and around Sitges. Tuesday night, it all happens again! Often with a greater number of visitors, to party the night away. Children in fancy dress & costumes also take to the streets on the same day, but in the afternoon. Exhibition “REINA 30 ANYS” (30 years of the Carnival Queen) at the Edifici Miramar illustrating 30 years of the Queen with an exhibition of photographs, dresses, crowns, engraved images … organized by Casino Prado on the occasion of the 30th anniversary of the creation of the Sitges Carnival Queen, with the collaboration of the Council of Culture, Traditions and Festivals and the of Commission of Carnival. Commission’s Artistic Direction by Joan Roca i Pujadó. 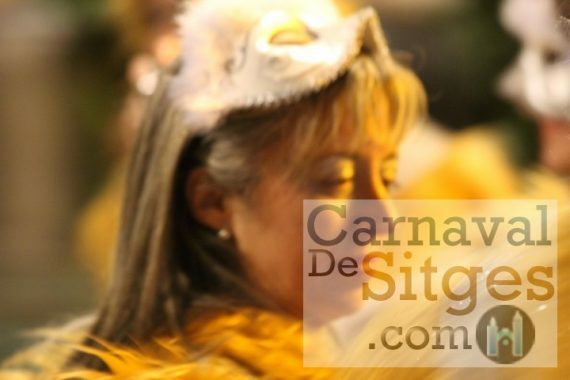 From 12:00h until 14:00h at the Palau del Rei Moro (Carrer d’en Bosc, 10-12) CARNIVAL WORKSHOP for children, with the performance of the MARKATÚ JUNIOR batucada and CARNAVALESQUE APERITIF with artisan beer from ‘La Sitgetana ‘. 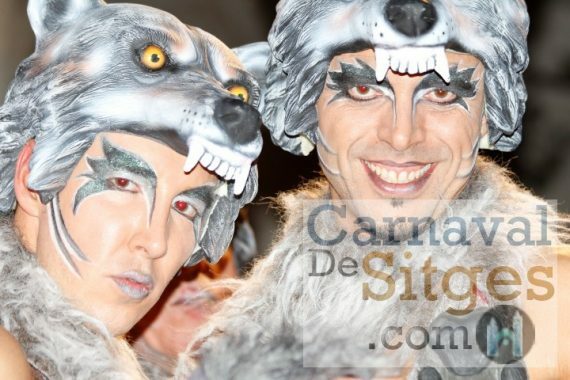 Act organized by Agrupació de Balls Populars de Sitges. 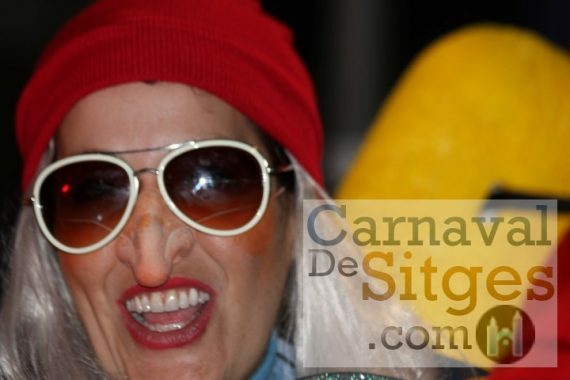 At 19:30h at the Teatro Casino Prado, “GRAN ELECCIÓ DE LA REINA DEL CARNAVAL DE SITGES 2017 Reina 30 Anys”. 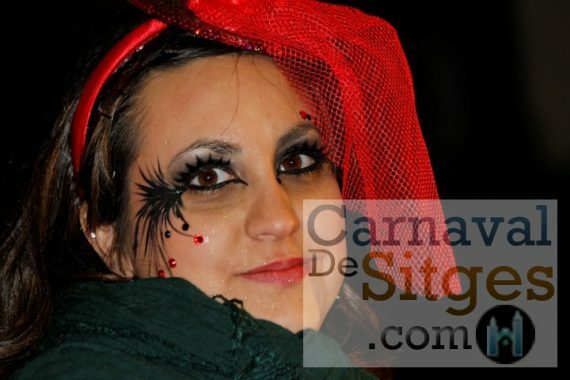 “Grand announcement of the Sitges 2017 Carnival Queen” with an amazing spectacle of light and sound. Organized by Casino Prado. Admission is free. Doors open at 18:30h. Limited seating. 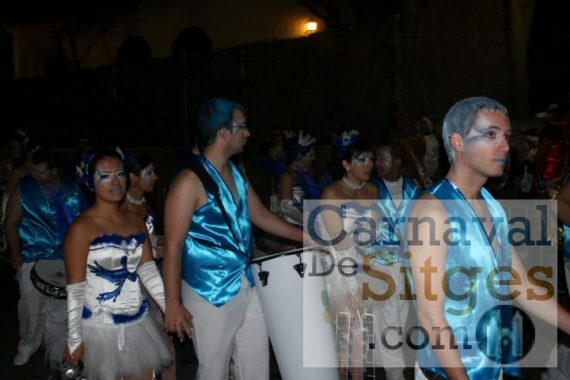 Prizes awarded by the Carnival groups of El Retiro. 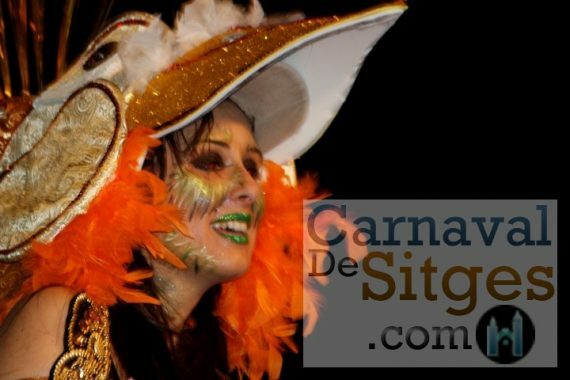 -18:30h at the Casino Prado Theatre, ANNOUNCEMENT OF THE 2017 SITGES JUNIOR CARNIVAL QUEEN, organized by Casino Prado with the participation of “l’Espai de Dansa” of the Prado. Admission is free. Limited seating. Following the arrival ceremony, H.M. Carnestoltes and his court will parade along the following streets: Passeig de la Ribera, Sant Pau, Parellades, Cap de la Vila (where H.M. will meet H.M. the Carnival Queen), Major and Ayuntamiento, where H.M. Carnestoltes will take possession and read the traditional Predicot (opening speech). Then H.M. Carnestoltes will visit the Casino Prado and the Palau del Rei Moro and will dine in El Retiro. – 21:00h. 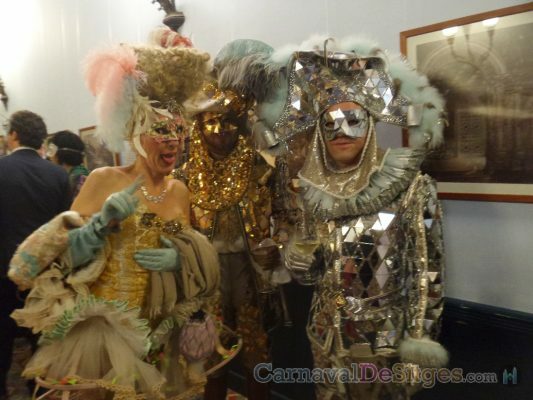 Palau del Rei Moro: Xatonada for all and a performance by Mercè and Oriol and the visit of H.M. Carnestoltes and H.M. the Carnival Queen. Those present will receive a copy of the “Gallofa”, a satirical and un-censored magazine edited by the association. 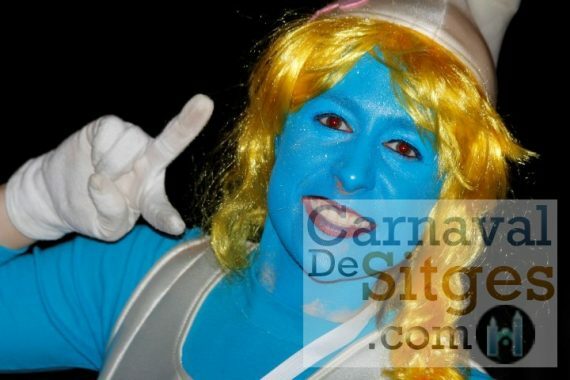 Act organized by the Agrupació de Balls Populars de Sitges. All scheduled events have a bar service. Special prices for Retiro members and groups. Reservations for the xatonada should be made with the Retiro administration office. 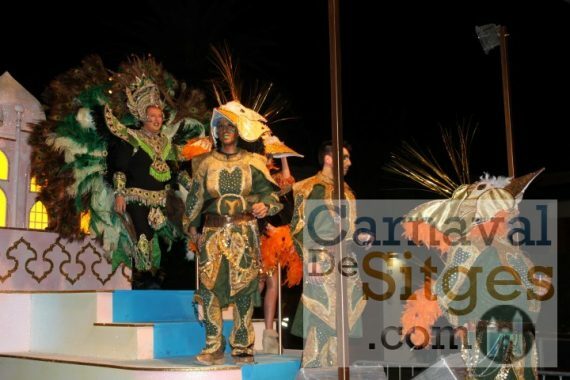 – 22:00 Casino Prado: Xatonada with the presence of H.M. Carnestoltes, emotional PRESENTATION OF H.M. THE QUEEN OF CARNIVAL 2017 “QUEEN 30 YEARS” and her entourage. At the end of the dinner, “CARRUSEL DE PEL·LÍCULA” . All scheduled events have a bar service. Special prices for Prado members and groups. Registration, booking and information: 93 894 31 10. 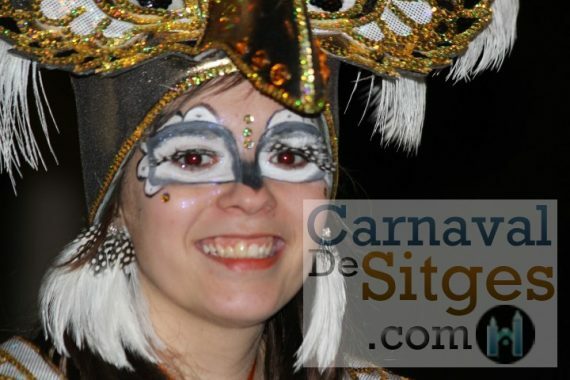 – From 09:00h and throughout the day, H.M. Carnestoltes and H.M. the Carnival Queen and their respective entourages will visit the schools, residences and senior day care centres to bring the Carnival to all. In the morning: ES Joan Ramon Benaprès, Escola Miquel Utrillo, Centre de Dia de l’Aplec, Escola Escaan (Queen at the Llar d’Infants el Cercolet), Escola Agnès de Sitges (Queen at the Llar d’Infants La Moixiganga), Escola Maria Ossó, IES Sitges and Fundació Ave Maria (Queen at Sitges Park). At noon in Cap de la Vila, H.M. Carnestoltes with his Court and H.M. the Carnival Queen and her entourage, will eat together. In the afternoon: Escola Esteve Barrachina, Escola Pia, Hospital de Sant Joan, Residencia les Magnòlies, Casal d’avis Pau Casals y Casal d’avis Caixa Penedès. The order may be changed at the last minute. – 20:00h in Perfumeria Júlia (sponsor of the Colla Paperets Club): Inauguration of the Exhibition “Paperets Club: una colla singular” (Paperets Club, a unique group), featuring photographs and the exhibition of some costumes. 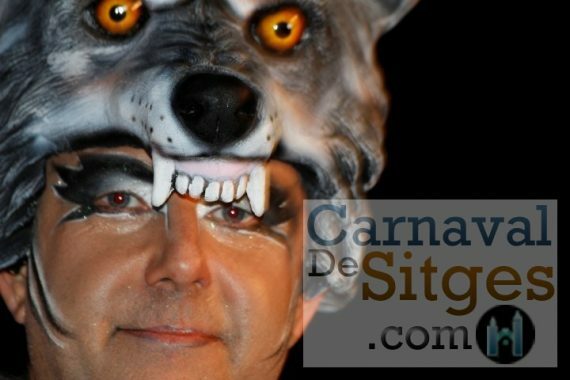 The Mayor and the Sitges Carnival Commission are expected to attend. – 20:00h-24:00h. Gran Gala de Venecia 2017 (Grand Venetian Gala 2017) in the Palau de Maricel, directed by Giorgio Manni. 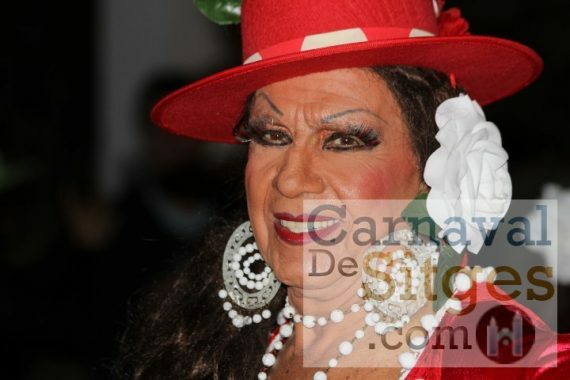 Charity gala evening held in honour of Cáritas. More information available at the establishments of the following sponsors: Hotel Cid, Hotel Galeón, Hotel Platja d’Or and Rincón de Pepe. Tickets at 25€ include the gala dinner and a donation to Cáritas). Numbers are limited. Presented by Júlia Creus, Josep Ferré and Esther Soto The evening entertainment includes shows and vintage music during dinner. – 10:00h. – 10:00h. 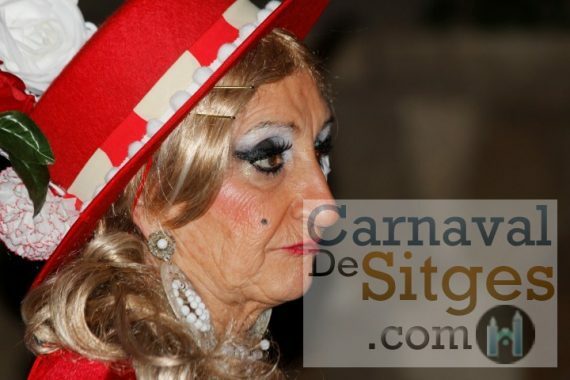 H.M. Carnestoltes and H.M. the Carnival Queen visit the Mercat Municipal. A very special visit indeed, since 2017 marks the 30th anniversary of the Municipal Market, the Queen’s Colla and the first Carnestoltes of the Colla Paperets. – 11:00h. 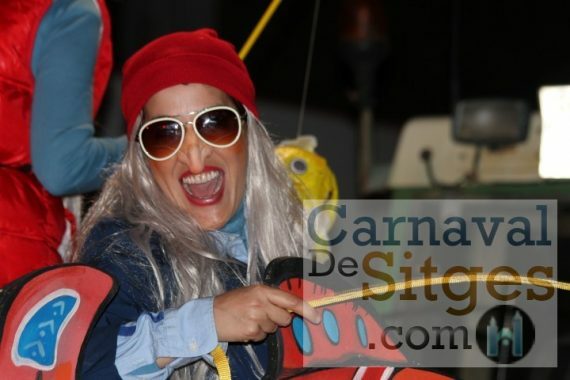 Cap de la Vila, The carnival group No K-Lia with assistance from carnival groups Llantos, Huertos and Panxamplas will entertain the public prior and during the Bed Race, and also as it passes by Cap de la Vila, displaying their traditional revelry and great sense of humour. 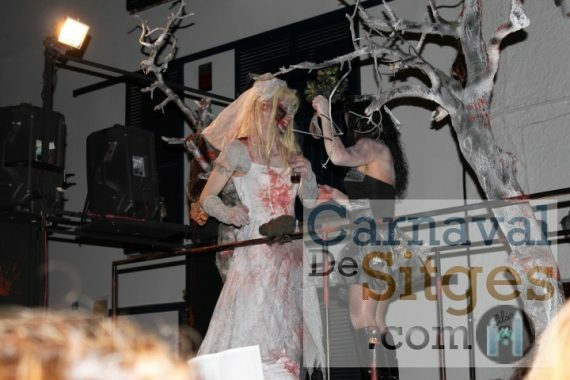 Featuring this year, the celebration of the “55ª Festa de l’Ofrena Floral de Sitges” (55th Floral Offering Festival of Sitges), the contest of “Pubilles” and “Hereus” and then the floral offering. 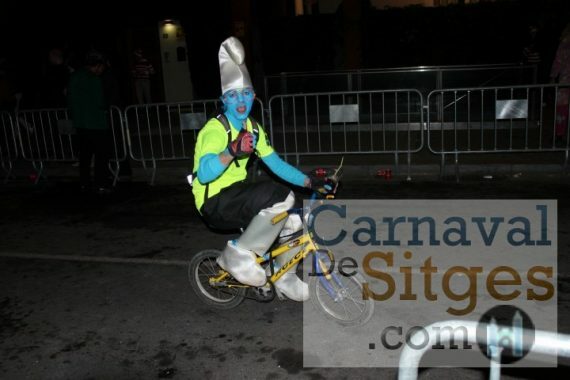 – 12:00h SITGES BED RACE. 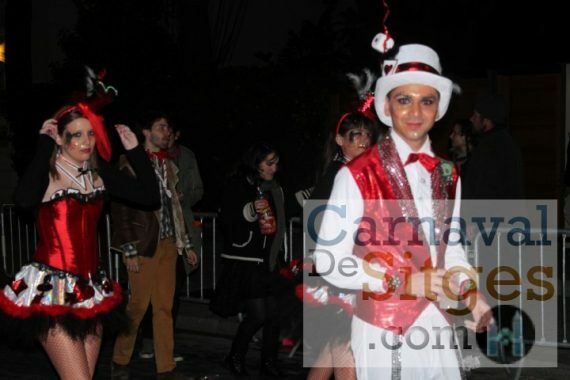 Departs from in front of the gardens of the Casino Prado Suburense at noon. H.M. the Carnival Queen and H.M. the Junior Carnival Queen will fire the starting gun and the guest of honour H.M. Carnestoltes and his court may or may not close the race. Route: Casino Prado, Françesc Gumà, Jesús, Cap de la Vila, Parellades, Sant Pau, Passeig de la Ribera Sant Pere, Parellades, Marqués de Montroig, 1r de Maig, Passeig de la Ribera until the Restaurant Eguzki Lizarran. 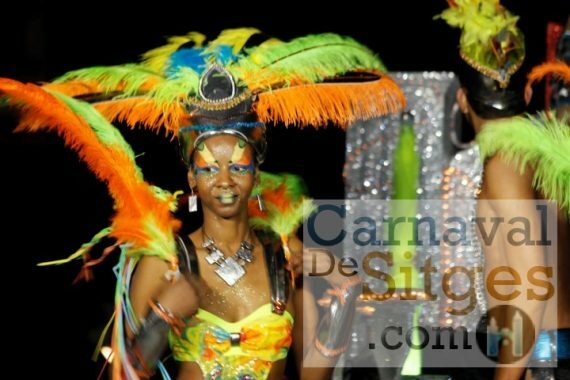 His Royal Majesty and the Carnival Queens will present the prizes to the winners. – 14:00h at Casino Prado, splendid lunch for H.M. the Queen of the Carnival offered by CANYATECA PRADO. – 14:00h Lunch for H.M. Carnestoltes and his entourage at the Sunway Playa Golf offered by this hotel. – From 16:30h to 18:30h. Plaça Catalunya. Children’s and Cake Party to celebrate the anniversary of the children’s and adult’s Colla Paperets carnival groups. With bouncy castles and cakes, courtesy of local pastry establishments and residents. – 17:00h In front of Restaurant Lizarran, II Fardo Concert with Miquel del Roig. Coinciding with National Fardo Day, the concert will be presided over by H.M. Carnestoltes and his entourage with the indispensable company of H.M. the Carnival Queen and her court. Act organized by the group Les Barraques, with the cooperation of Cursa de Llits disfressats. – 17:00h 13th Tequereque Festa of the musical association Markatú Batucada. At the head of the parade, Markatú Batuquets followed by DRUMS from Esplugues, TOQUIKITOQUI BATUKADA from Santa Coloma de Cervelló, RETUMBAND from Sant Esteve Sesrovires and Markatú BATUCADA. Route along the town streets of: Pl. de l’Ajuntament, Major, Cap de la Vila, Sant Francesc, Sant Gaudenci, Sant Josep, Parellades, Marquès de Mont-roig, Pl. Industria, Primer de Maig, Joan Tarrida, Bonaire, Parellades and Cap de la Vila where the closing of the event will take place. 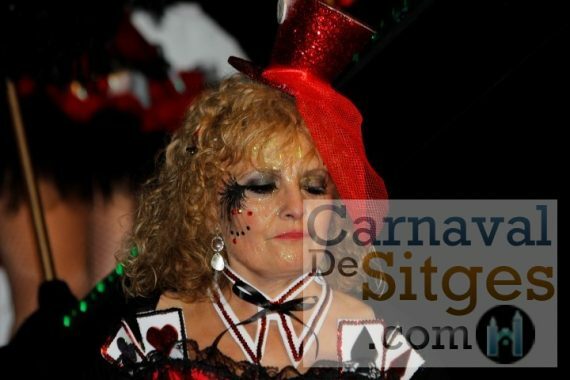 – 22:00 Casino Prado: Xatonada with the presence of H.M. Carnestoltes, and H.M. the QUEEN OF CARNIVAL 2017 “QUEEN 30 ANYS” and her entourage. 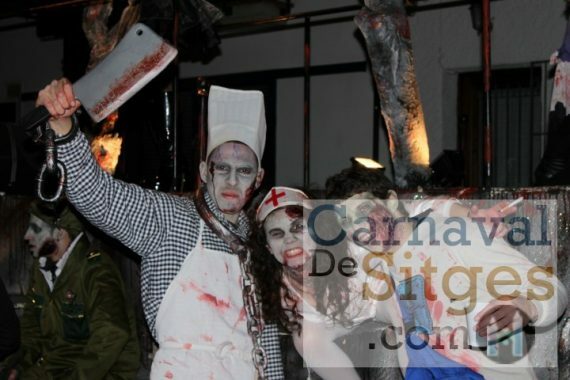 At the end of the dinner, “CARRUSEL DE PEL·LÍCULA”. 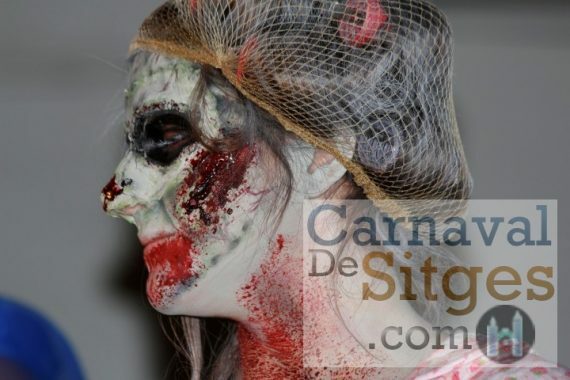 – From 11:30h until 14:30h on the Paseo de la Ribera, at the height of the Pont de Domènec, CHILDREN’S WORKSHOP of masks and makeup. Boys and girls accompanied by professional monitors will be able to make their own masks with recycled material and paint their faces, while the children’s parade goes by. 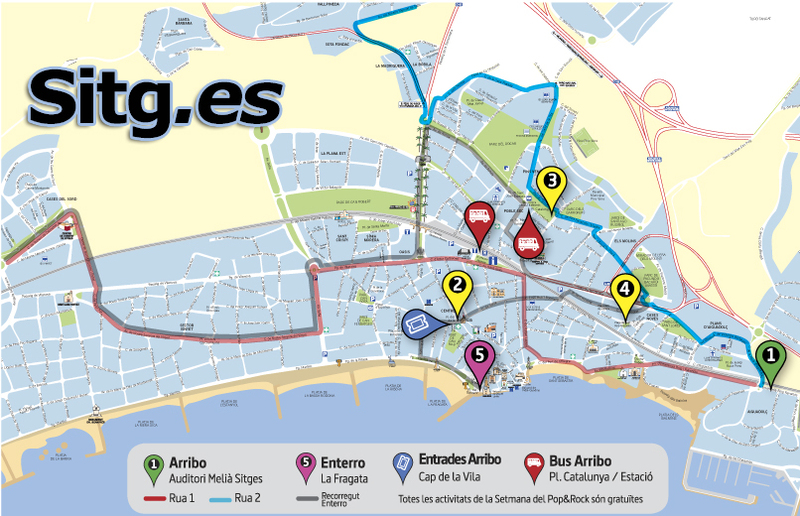 Route: Starts at the bottom of Avinguda Sofia, Passeig de la Ribera (sea side), La Fragata, Passeig de la Ribera (mountain side), Bassa Rodona, Plaça del Pou Vedre, Espalter, Sant Francesc and Cap de la Vila. 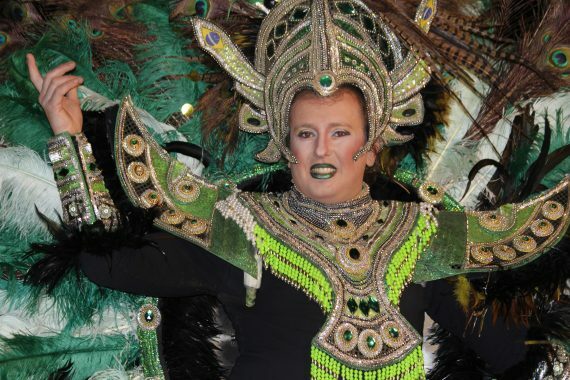 – When the Rua de la Disbauxa finishes, there will be a FANCY DRESS BALL with DISCO MUSIC in the Theatre Hall of the Sociedad Recreativa El Retiro. 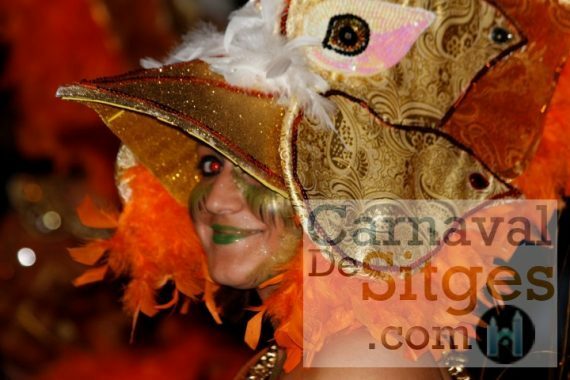 Access is reserved to the members of Retiro carnival groups and members. Limited number of tickets available. All programmed events feature a bar. 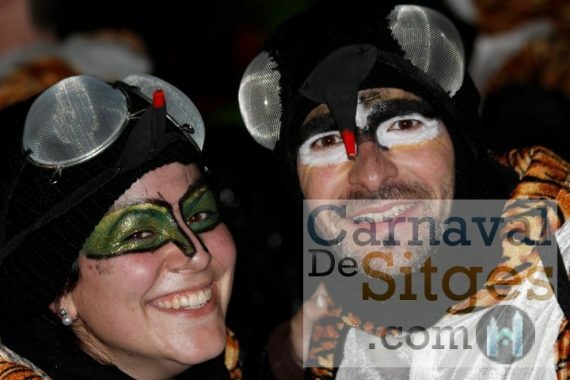 Special prices for members and carnival groups of El Retiro. Xatonada reservations should be made with the Retiro administration office. – When the Rua de la Disbauxa finishes, there will be a FIESTA DE LA DISBAUXA in the Theatre Hall of the Casino Prado Suburense, hosted by DJ TONI PERET. 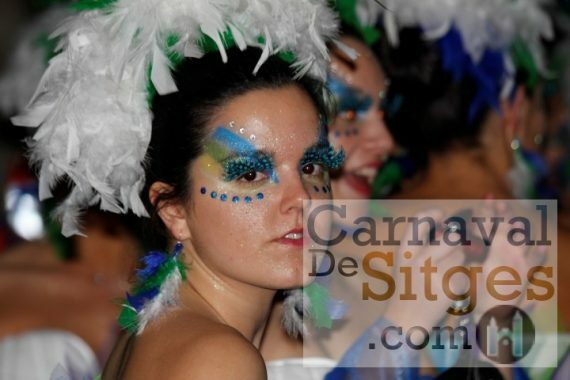 Access is reserved to the members of el Prado carnival groups and members. Limited number of tickets available. All programmed events feature a bar. 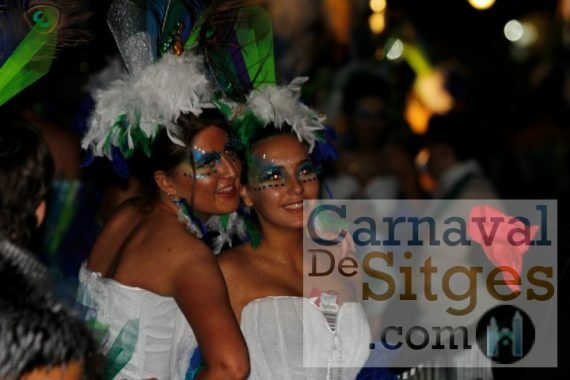 Special prices for members and carnival groups of El Prado. For registration, reservations and information call: 93 894 31 10. – 17:00h. Casino Prado. CHILDREN’S PARTY hosted by Kids Party Show. 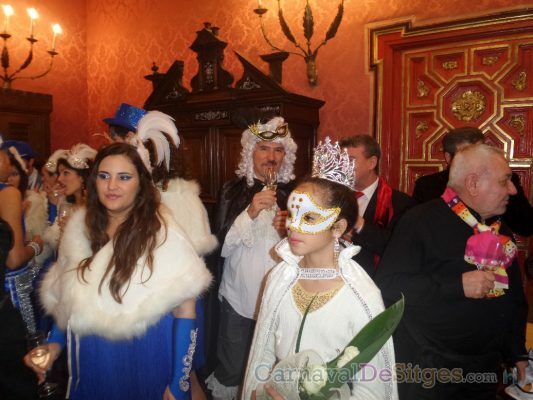 Snacks for the girls and boys who participate in junior carnival groups of El Prado, with the presence of the Carnival Queens and their court and H.M. Carnestoltes. – 21:00h. El Retiro: Dance. Theatre Hall of El Retiro. Music by GRAN ORQUESTRA ROSALEDA and DISCO MARIN . With the presence of H.M. Carnestoltes and his entourage. Route: Starts at the bottom of the Avinguda Sofia, Passeig de la Ribera (sea side), La Fragata, Passeig de la Ribera (mountain side), Bassa Rodona, Plaça del Pou Vedre, Espalter, Sant Francesc and Cap de la Vila. – 21:00h. Rua del Extermini. – Once the Rua de la Disbauxa ends there will be a FANCY DRESS BALL with DISCO MUSIC in the Theatre Hall of the Sociedad Recreativa El Retiro. 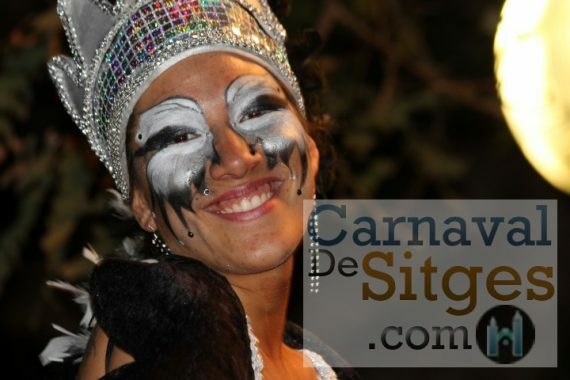 Access is reserved to the members of El Retiro carnival groups and members. Limited number of tickets available. 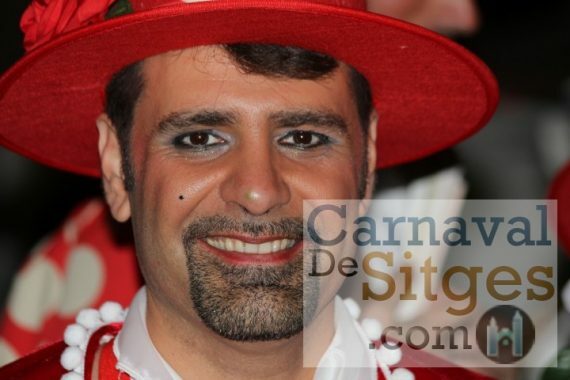 – Once the Rua de la Disbauxa ends there will be a FIESTA DE L’EXTERMINI hosted by DJ TONI PERET in the Theatre Hall of the Casino Prado Suburense. 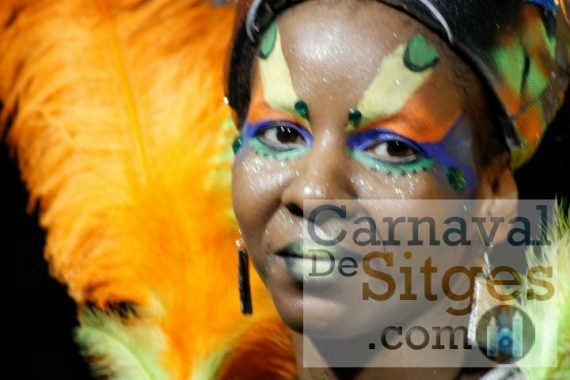 Access is reserved to the members of El Prado carnival groups and members. Limited number of tickets available. – 17:45h The FUNERAL CHAPEL for His Majesty will be set up in the entrance to the Town Hall, here all his faithful followers will be able to pay their respects and say their last goodbyes. – 19:00h … THE BURIAL OF THE SARDINE. His Majesty Carnestoltes, accompanied by his court, the Queen and her courtiers, the mourners that wish to join in, and anybody who wishes to pay their respects to the King of Carnestoltes, will follow this route: Major, Cap de la Vila, Parellades, Marquès de Montroig, 1r de Maig and Passeig de la Ribera arriving at the beach of La Fragata. – 19:30h Reading of the last will and testament of His Majesty. Farewell ceremony. – Having said farewell to His Royal Majesty Carnestoltes, on Paseo de la Ribera, ARRIVAL OF SRA. 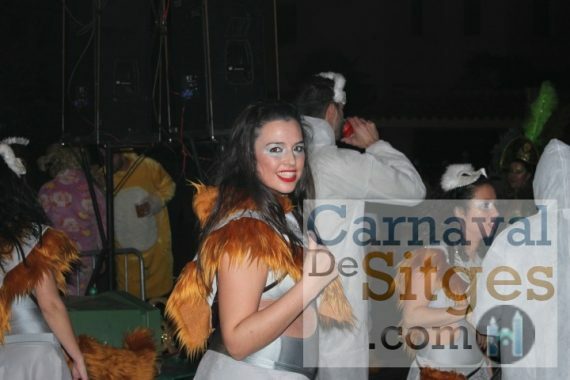 CUARESMA (MRS. LENT) ending a magnificent week of excess and sin, and bringing a note of common sense. The entourage will take the following route: Passeig de la Ribera, Sant Pau, Parellades and Cap de la Vila, where Sra. Cuaresma will read her very peculiar Vegetable Manifesto and hand out sugared “Buñuelos” (wind fritters). – 21:30h Casino Prado Suburense: CLOSING DINNER and handing out of diplomas. Participants include representatives from the Carnival entities, comparsa groups and members of civil society organisations. 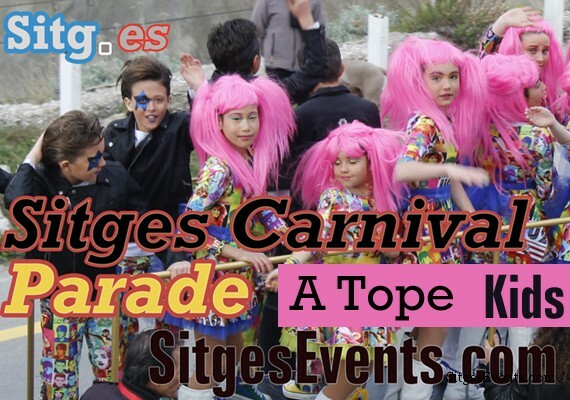 Organized by the Ateneu Popular de Sitges and the Agrupació de Balls Populars de Sitges. El Quinto is a popular “bingo-style game”. 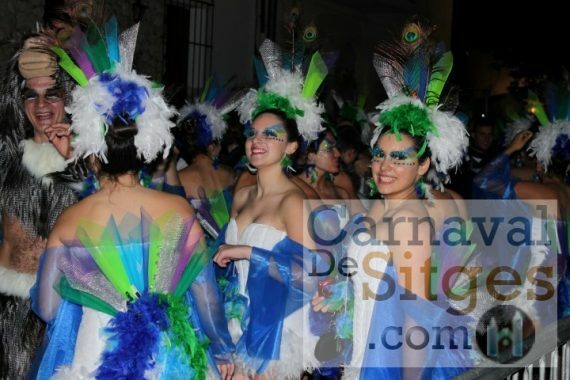 Prizes awarded by the Carnival Retiro’s groups. 7.30pm – 19:30hrs: La Fragata: Arrival of his Majesty Carnestoltes (“Arribo”) performed by the Colla “Erem Pocs”. 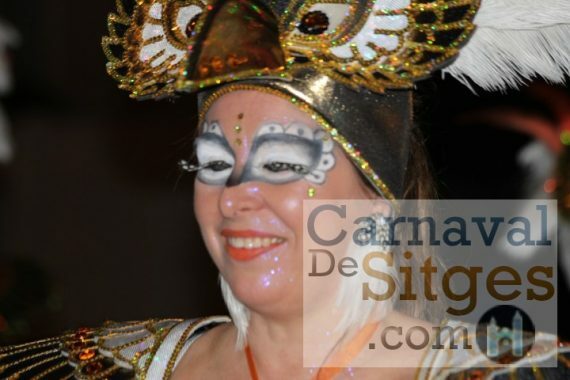 At the end of the “Arribo”, SM Carnestoltes and his entourage will go on Parade along the Paseo de la Ribera to the Sports Bar, where they will wait until the Queen performs her presentation. 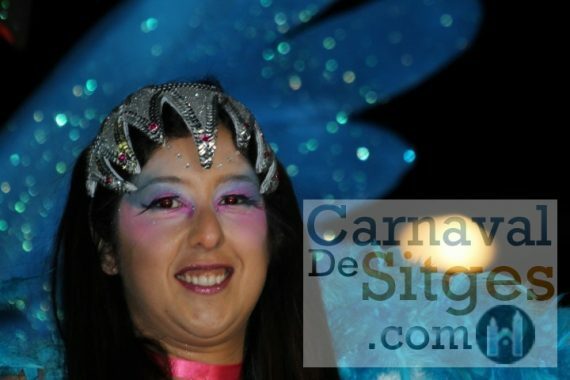 8pm – 20:00hrs: At the end of the “Arribo”, Presentation of the Carnival Queen & Children’s Carnival Queen ,performed by Colla Show Carrusel del Prado. 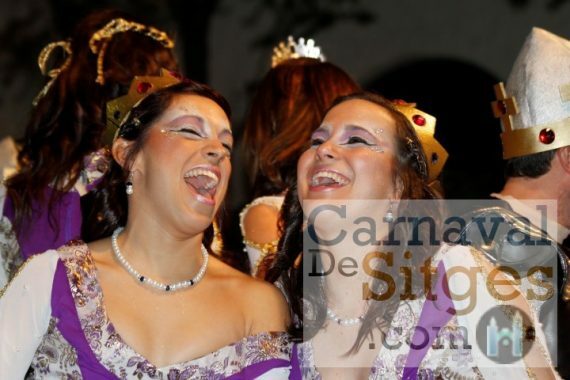 Followed by the parade “Rua de las Cortes Imperiales de las Reinas” (“Rua of the Imperial Courts of the Queens”. 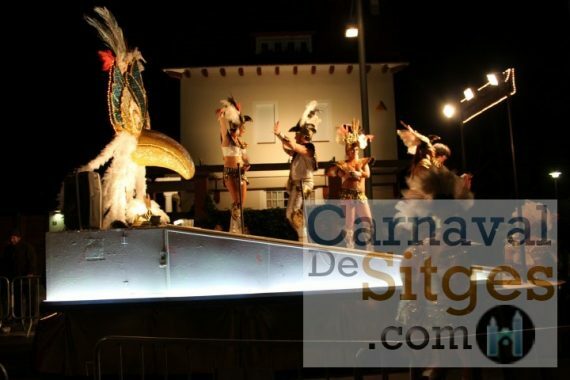 Paseo de la Ribera, Bonaire, Parellades, Cap de la Vila (where HM Carnestoltes will be met), Major and Ayuntamiento (Town Hall) where HM Carnestoltes will proclaim his reign with the traditional “Predicot” (speech) 21:15h. 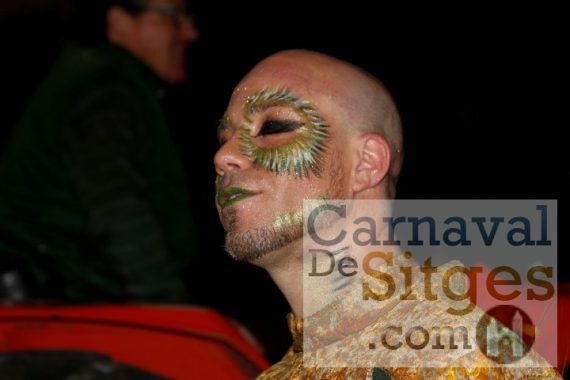 10pm – 22:00hrs: Palau del Rei Moro: Xatonada + show with jokes, with the visit of his Majesty Carnestoltes and the Queen of Carnival. The Gallofa, a satirical and uncensored magazine produced by the association will be distributed at the event. 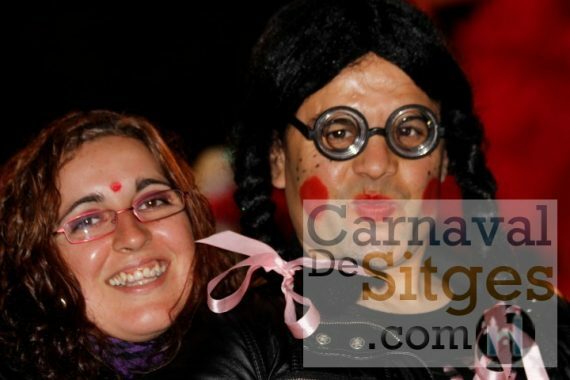 Organized by l’Agrupació de Balls Populars de Sitges. Tickets for sale at “Copisteria El Pati” (C /. Illa de Cuba 10) until 10th February. Price 18 € ABPS members and 20 € non-members. 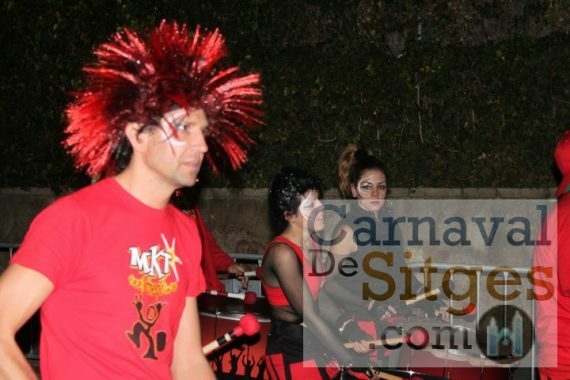 10pm – 22:00hrs: Casino El Prado: Xatonada+ spectacle by Show Carrusel “Sempre la Revista”/Carnaval 2015 with the presence of his Majesty Carnestoltes and the Carnival Queen and the Children’s Queen. 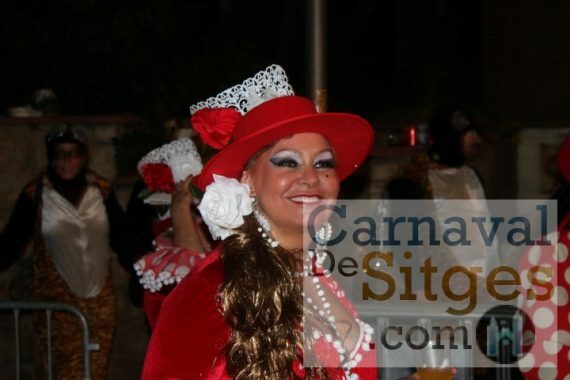 9am – 9:00hrs onwards: HM Carnestoltes, the Queen of Carnival and the Children’s Carnival Queen, visit schools, nursing homes and senior citizens homes. From 09:00h in the morning and throughout the day. 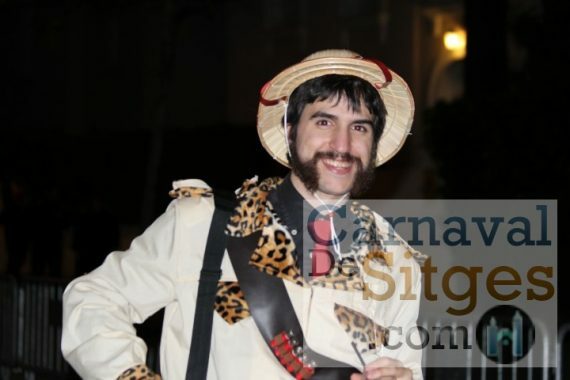 10pm – 22:00hrs: Elegibó in concert in the Casino Prado presents “Kimbara” and the new Carnival 2015 song, with the participation of Eli Percusssió Menuda and other guest artists. Free entrance. 11.30pm – 23:30h: Revival Party, at Casino Prado, (18 and over). Ticket+drink 10€ for Casino Prado’s members and 15€ for non-members. 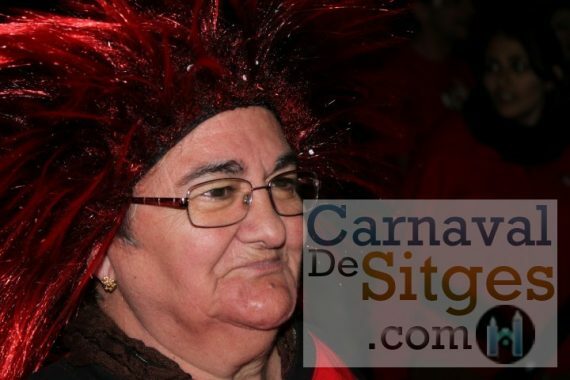 10am – 10:00hrs: Visit to the Mercat Municipal of HM Carnestoltes and the Queen of Carnival. Mercat Municipal. 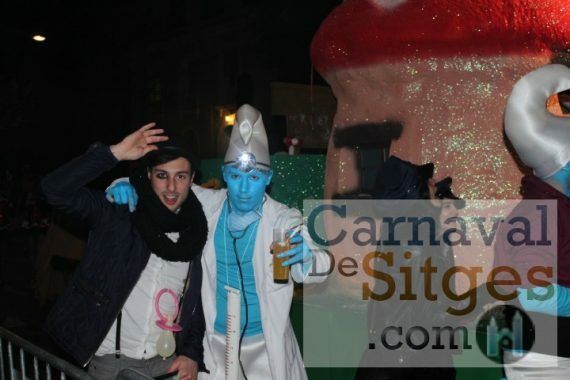 12pm – 12:00h: Bed Race. 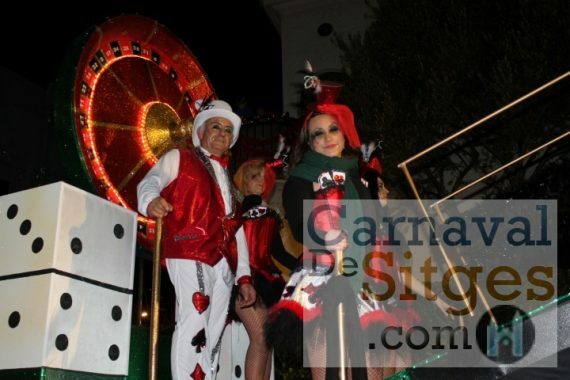 Starts in front of the Casino Prado Suburense’s Gardens at 12:00 h. Participation of HM Carnestoltes with the presence of the Carnival Queen and the Children’s Carnival Queen. Route: Casino Prado, Francesc Gumà, Jesús, Cap de la Vila, Parellades, Sant Pere, Passeig de la Ribera to the finishing line in front of Lizarran.From 10.30hrs 10.30am in the morning, group Colla “No K-lia” will entertain the people in Cap de la Vila. 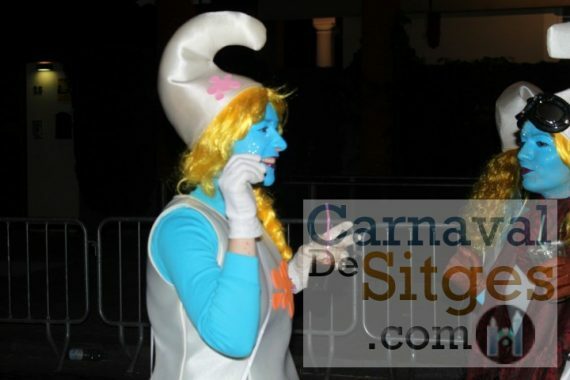 4.30pm to 8pm – 16:30 to 20:00hrs: Children’s Party at Plaza Catalunya (Poble Sec), with the presence of his Majesty Carnestoltes and his entourage. 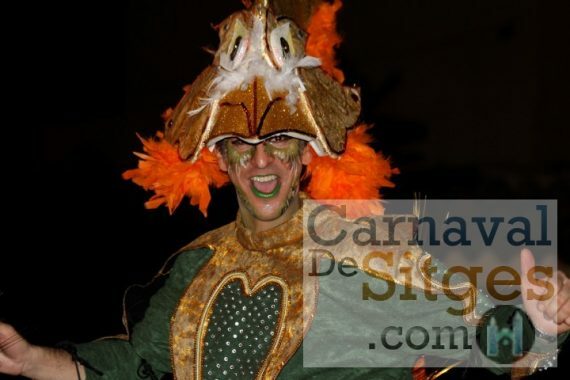 7.30pm – 19:30hrs: Parade of HM Carnestoltes through different businesses and shops collaborators with Colla Erem Pocs, SM Carnestoltes organizers. 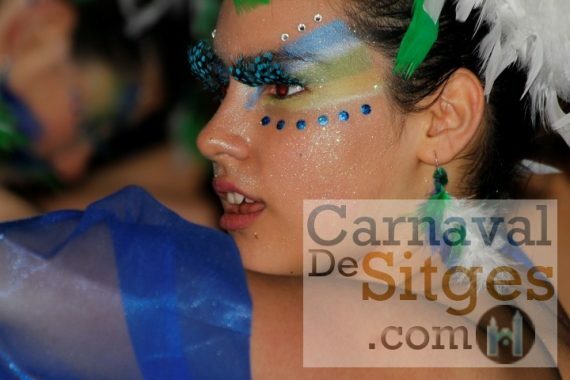 10pm – 22:00hrs: Casino El Prado: Xatonada+ spectacle by Show Carrusel “Sempre la Revista”/Carnaval 2015 with the presence of his Majesty Carnestoltes and the Carnival Queens. 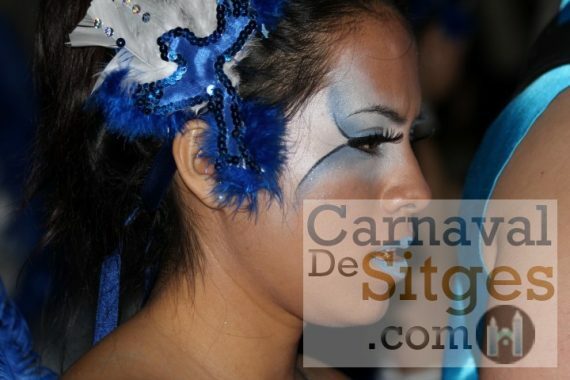 12 Midday – 12:00hrs: Rua Infantil (Children’s Parade), click on link for the itinerary CHILDRENS PARADE. Starts in Cap de la Vila. 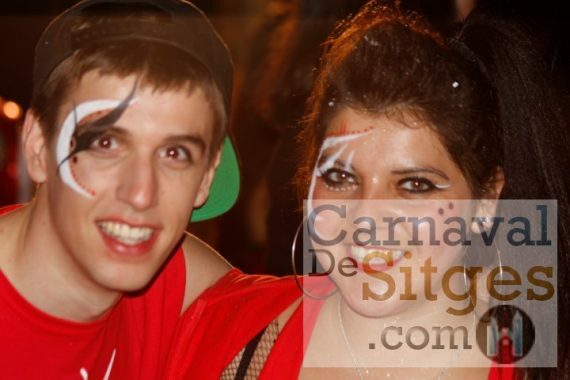 At the end of the Rua there will be a junior disco in El Prado. 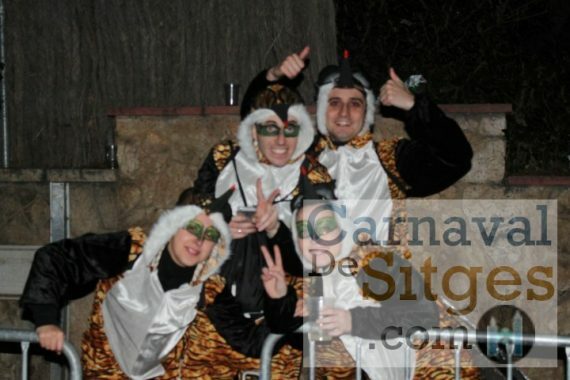 For children belonging to the Carnival groups of Prado and Prado’s members. Free entrance. 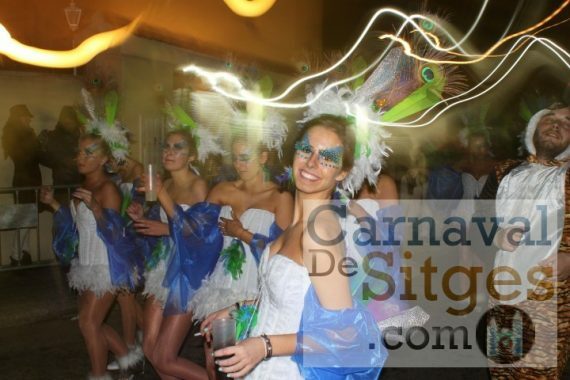 8pm – 20:00hrs: Rua de la Disbauxa (adults parade). click on link for the itinerary ADULTS PARADE. Starts in Cap de la Vila. 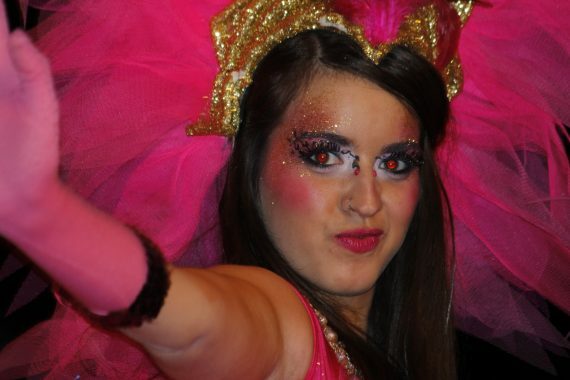 When the Rua ends, there will be dancing in El Prado (18 years and over) and El Retiro with Carnival Dancing (10€ ticket+drink). For members of the entities only. 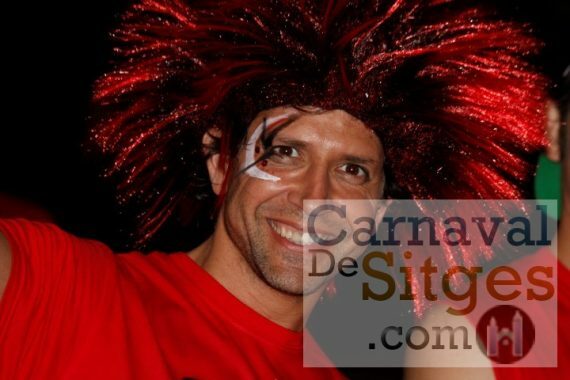 5pm – 17:00hrs: Casino Prado: Hot chocolate + Kids Party Show and the presence of the Carnival Queen and Children’s Carnival Queen. For children belonging to the Carnival groups of Prado. Invitation required. Oficial presentation of Elegibó Percussió Menuda. 9pm – 21:00hrs: El Retiro: Dancing- Lunch in the Theater Hall of El Retiro. Music by Andreu’s Orquestra. 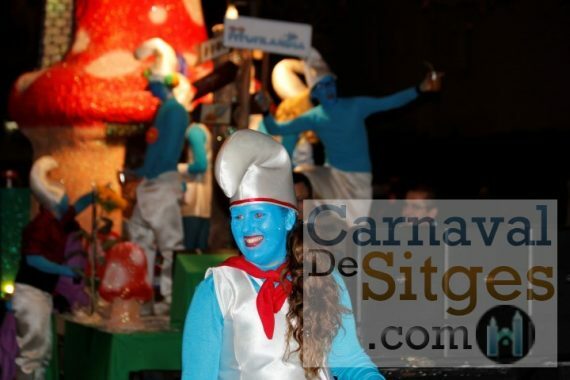 3pm – 15:00hrs: Rua Infantil (Children’s Parade), click on link for the itinerary CHILDRENS PARADE. Starts in Cap de la Vila. 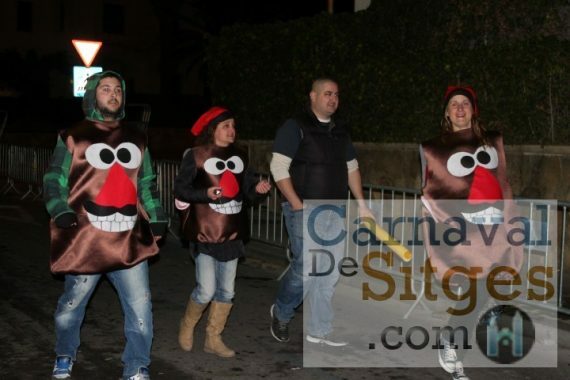 8pm – 20:00hrs: Rua del Extermini (adults parade). click on link for the itinerary ADULTS PARADE. Starts Cap de la Vila. 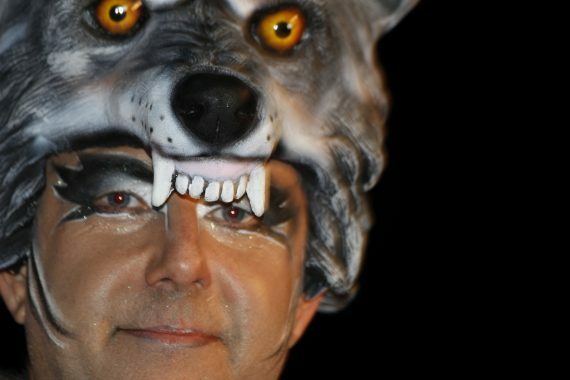 6.30 – 18:30hrs: Farewell to HM Carnestoltes at the Town Hall. Sitgetans and Sitgetanes are all invited to say goodbye to their King. 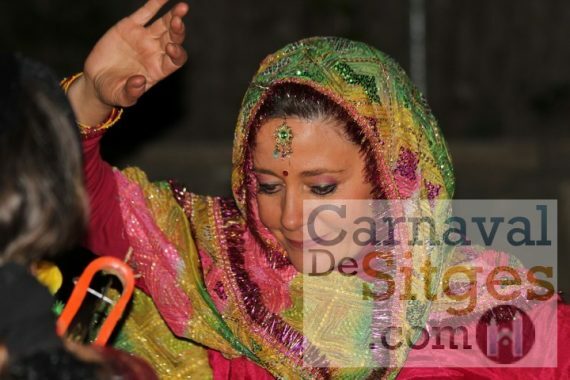 8.30pm – 20:30hrs: Arrival of Señora Cuaresma (Mrs. Lent). La Fragata. This takes place after the farewell of Carnestoltes. 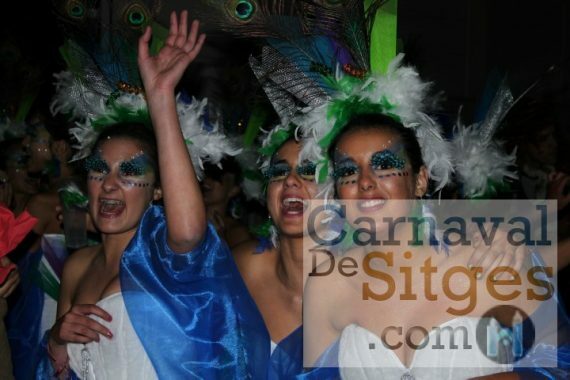 10pm – 22:00hrs: Casino Prado Suburense: Dinner – Closure of Carnival with diplomas and keepsakes. 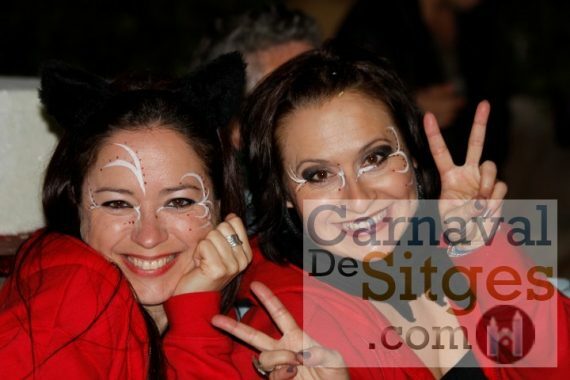 10pm – 22:00hrs: Societat Recreativa El Retiro: Carnival finale with Xatonada. 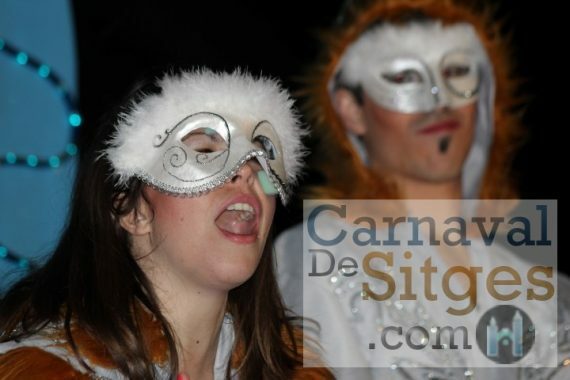 9.30pm – 21:30hrs: IPrivate Xatonada finale of the Carnival Group Carrossòdrom (float makers). 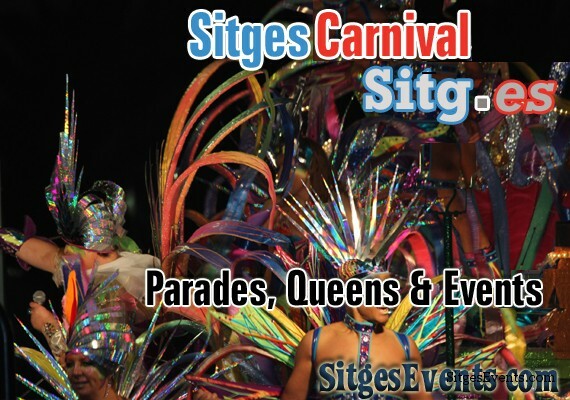 Event tags: 2014, 2015, 2016, 2017, 2018, 2019, 2020, clubs Sitges, Mardi Gras, Sitges Carnaval, Sitges Carnaval Parade, Sitges Carnival, Sitges Carnival Parade, Sitges Gay Carnival, and Sitges Mardi Gras.